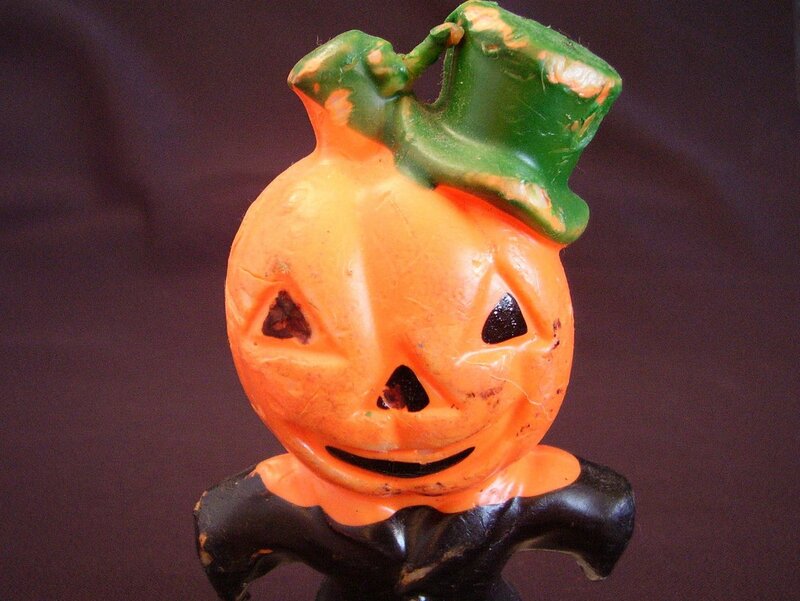 Vintage wax candle Pumpkin Man made by Gurley. Popular in the 1950s and 60s they were rarely lit and used mainly as decorative items. 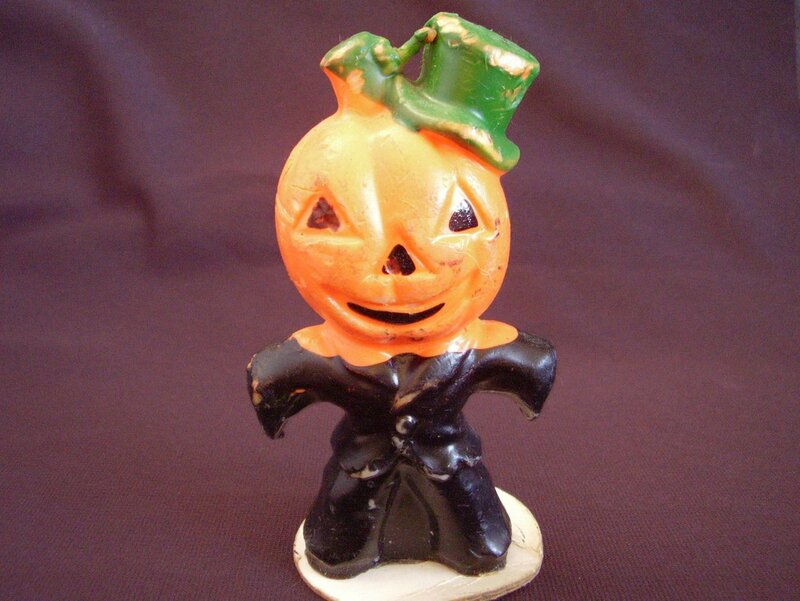 Vintage wax candle Pumpkin Man made by Gurley. Popular in the 1950-60's they were rarely lit and used mainly as decorative items. As he is vintage and made of wax he has suffered some bruising and paint loss throughout the years. He still stands on his cardboard stand that bears the Gurley name. He is 5 inches tall and 2 3/4 inches wide. His wick has never been lit. 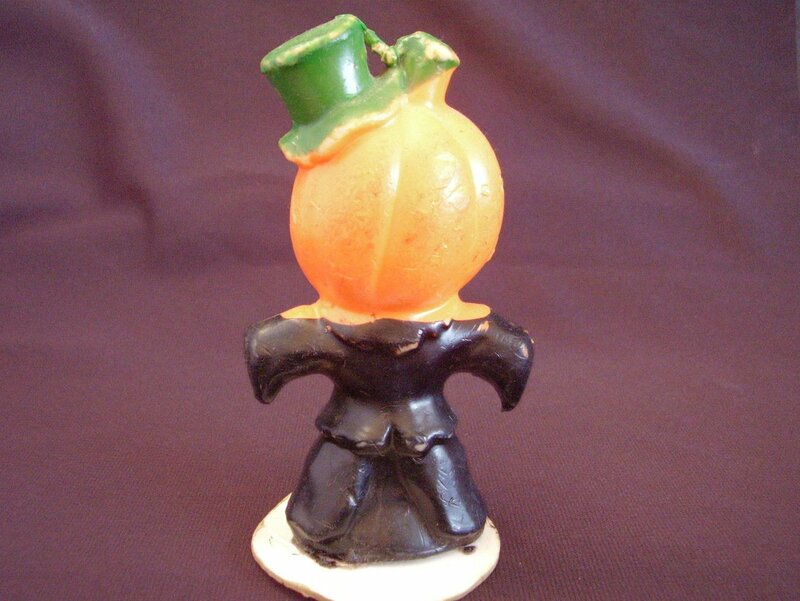 W&F Manufacturing Company, owned by Franklin Gurley, began a partnership with Socony-Vacuum Oil Company (now ExxonMobile) in 1939 to produce novelty candles. The partnership allowed Socony-Vacuum to make use of excess paraffin, that up until then was a discarded product from oil refining. 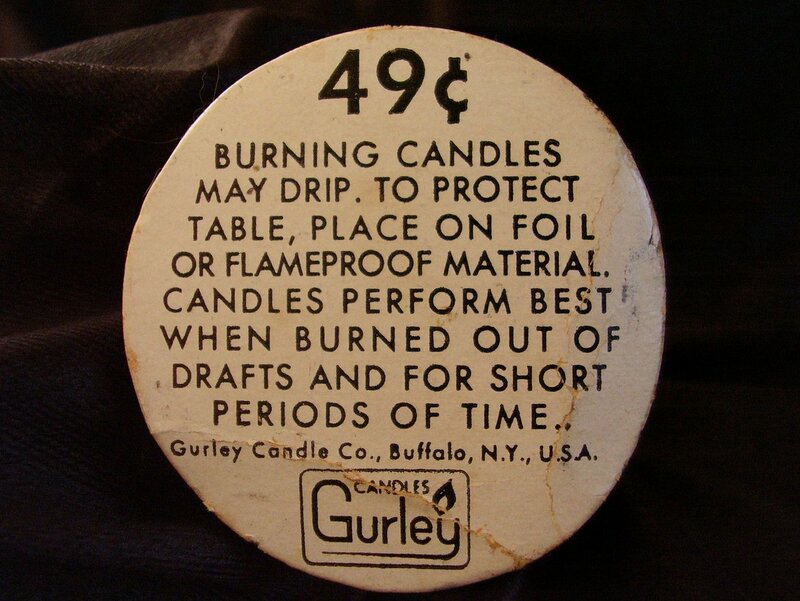 It also allowed Gurley to have a cheap supply of material to make into candles, and a larger market distribution.